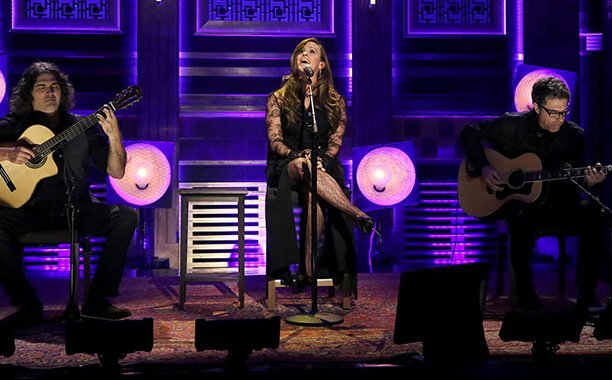 Alanis Morissette delivered an unplugged performance of her 1995 hit, “Hand In My Pocket”, on The Tonight Show starring Jimmy Fallon on Tuesday. The “Collectors Edition” is limited to 30,000 copies worldwide, while a two-disc “Deluxe Edition” is also available. Her third Canadian release but first international album, “Jagged Little Pill” launched Morissette to a global audience. The record delivered 6 hit singles – including the lead track “You Oughta Know” – on its way to sales of more than 33 million copies worldwide.